The other day, I heard some TV personalities talking about how no one ever has fun at New Year's Eve parties. Whether that is actually true at the kind of high-end parties people like them get invited to, I cannot say, since I'm obviously not in that social class. Only the privileged get to disdain the privileged lifestyles that the rest of the world only gets to envy. My New Year's Eves are usually spent alone. So I probably wouldn't mind the company! Still focused on Christmas, the Church's liturgy does not formally celebrate the passing of the old year and the arrival of the new. Pius Parsch claimed that this was because "The Church in her mysteries already lives on the timeless level of eternity." It is, however, traditional to sing the Church's ancient hymn of thanksgiving, Te Deum, on the last day of the year. (Since Blessed John Paul II, this has become a standard part of the public papal calendar.) Just how old this tradition is, I don't know. I did find a detailed Latin rubric for it in a 1942 edition of the Rituale Monasticum. It seems safe to assume the custom was already a long established tradition well before then. The Te Deum is a prayer of praise, focused on the big picture of salvation history. It incorporates the whole Communion of Saints in praise of the Trinity. In a kind of creedal formula, the hymn proclaims the incarnation, the redemption, and Christ’s glorification at his Father’s right hand, from which he will return as judge. It ends then in petition that we may join the saints in everlasting glory. It is in this "our own short day of time" - now invested with incomparable importance and significance by the Incarnation - that we are all challenged to be thankful, to find occasion for thanksgiving in the highs and lows of our ordinary time, in this Year of our Lord 2013 that is now fast ebbing away. Personally, as I look back with gratitude at 2013, I am thankful, first of all, for having made it this far - 65 in 2013; God willing 66 in 2014! That's more years than most of humanity has ever had. And they have left me with a treasury of memories (not all good to be sure, but many very good) and a treasury of relationships (some sadly now only remembered, others still real and enriching my life). Looking back over 2013, I am thankful for yet another blessed year of ministry as a priest, for my parish, for the diocesan presbyterate of which I am privileged to be a part and in which I have been called to a ministry of leadership, for my religious community which supports and sustains me in mission and friendship, and for family and friends far and near who help me be who I am at my best. 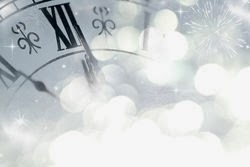 To all, everywhere, Happy New Year 2014! Like the two-faced Roman god, for whom the first month of the year is named, New Year's inevitably invites us to look both ways - to look back at what has transpired and to look forward to what lies ahead. A standard fare of news programs and publications, the year-end retrospective has survived into the changed media environment of the new century because it responds so precisely to the complex of emotions the turn of the year unavoidably unleashes. The year that began in the afterglow of the 2012 election held out the hope that Washington's political fever would break, that the minority party would accept the popular will and work with the majority to govern. Once again, however, dysfunction would reign supreme in Washington, as society remained hopelessly polarized by ideological divisions. Even immigration, the issue progress on which seemed so promising and on which the Senate actually did produce bi-partisan progress, still languished unresolved at year's end. At home, another government shutdown seemed to confirm the country's steady decline into "banana republic" status, a status reflected also in the increasing crisis of inequality as the once widely shared promise of the American Dream became increasingly elusive. Abroad, America's status and role as the world's superpower seemed further compromised by the sorry spectacle in Washington and by a war-weary, increasingly inward-looking society's inability to provide effective international leadership, most obviously in the case of Syria. But the biggest news story of 2013 left secular politics behind. The surprise resignation of Pope Benedict XVI broke new historical ground and upended established expectations. Seen in secular, political terms, it was a story that could easily have reinforced a growing popular impression of the Church's weakness. Yet, the world was about to see the ultimate inadequacy of such secular, political analyses about the Church. The election of Pope Francis, the first Latin American pope, the first Jesuit pope (and the first in centuries from any religious order) might have seemed news enough. But even all of that has seemed secondary to the positive impact Pope Francis has had personally on the world. Celebrity, of course, is a two-edged sword and can cut both ways. Some of his secular admirers will likely be disappointed by the deep substantive continuity that is at the heart of the Church's life. But the Pope has captured the world's attention in no small part simply by being disarmingly genuine - not unlike his famous namesake. And both in his actions and in his words (especially his Apostolic Exhortation Evangelii Gaudium) he is very pointedly challenging the entire Church to break out of caricature, to free ourselves from the ever-growing influences of individualism, consumerism, and libertarianism, and to embrace again the perennial challenge to exemplify what we profess and so be able to bring good news to our hurting world. To the extent that the Church's energies are effectively mustered at all levels in support of this effort - in individual lives, in parishes, in religious communities, among Bishops, and in the Synod of Bishops - that will be the truly important story of 2014. 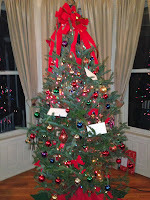 On Christmas, I spoke about a book, Mr. Ives’ Christmas, the hero of which had been significantly shaped by his experience of being abandoned as a baby, then raised in a Foundling Home, and finally adopted one subsequent Christmas – all of which had left him with an intense desire for a family of his own, a theme that permeates the entire book. We’re all familiar with countless artistic portrayals of the Holy Family. It’s safe to say there are more portraits of the Holy Family than of any royal family, let alone any ordinary family. And, of course, we have them here on display in the familiar Christmas scene. Such nativity scenes invite us to appreciate the circumstances of Christ’s birth, to consider the concrete reality of God becoming one of us, a human being like ourselves. But, of course, nativity scenes are also somewhat artificial. The figures appear frozen in time. All the participants who came and went at different times in the actual story all appear together and seem stuck in one moment. And, of course, we have so sentimentalized the story that, even though we are staring at a less than optimal setting in which to give birth under obviously sub-standard conditions, we hardly think at all about that aspect of the story. Many families – then as now – experienced similar problems. The Incarnation wasn’t some sentimental novel. When for us and for our salvation he came down from heaven (as we say so routinely in the Creed), it was for real. God became one of us, part of our world, a member of a family, a family struggling to make ends meet from crisis to crisis. I remember a friend of mine, talking to me about the challenges of being a parent, saying that he thought the fact that the human race has survived at all is itself a tribute to how families have struggled, stuck together, and pulled through. Of course, the Holy Family had some special help – Joseph’s dreams, for example. But, if the Incarnation means that in the Holy Family God himself has experienced and identified himself with our lifelong stresses and insecurities, then the corollary also follows from that – that God is present with us too, to sustain us in our stresses and insecurities. And even without any special dreams, we do have God’s word directing us to stick together and support one another – as the saying goes, for richer or for poorer, in sickness and in health. We have God’s word directing us to put on, as Paul says, heartfelt compassion, kindness humility, gentleness, and patience, bearing with one another and forgiving one another. Homily for the Feast of the Holy Family, Immaculate Conception Church, Knoxville, TN, December 29, 2013. All but one of the six intermediate days between Christmas and New Year's are associated with specific saints. In fact, in the old calendar, even Christmas Day included a "commemoration" at the Second ("Dawn") Christmas Mass - of Saint Anastasia, martyred during the persecution of Diocletian. So, until recently, six of the first seven days of Christmas commemorated saints - Anastasia, Stephen the Protomartyr, John the Apostle and Evangelist, the Holy Innocents, Thomas Becket (1120-1170), and Sylvester I (Pope 314-335). It is noteworthy that, apart from John and Sylvester, all are martyrs, which surely suggests something about the centrality of martyrdom in Christian life and in the Church's history. Note also how, apart from the Holy Innocents, none have any particular connection with Christmas. Saints Anastasia, Thomas, and Sylvester all just happened to have died on December 25, 29, and 31 respectively. Even so, all of them by their lives - and in the case of the martyrs by their deaths - gave eloquent witness to the consequence of Christmas, to the impact of the Incarnation, of the Word becoming flesh in our human world. And, of all these saints, only one of them, Thomas Becket, ever actually celebrated Christmas. The new calendar de-emphasizes Becket and this year (when December 29 will occur on a Sunday) ignores him completely. But he remains one of my great favorites. The commemoration of his martyrdom on the 5th Day of Christmas is a serious reminder – amid all the cheery sentimentality of this season – that the world into which God chose to become human is a dangerous and challenging world, one in which (as I have been known to say in homilies) saying “Yes” to Christ inevitably means saying “No” to (at least some) other options. It was on the occasion of my first visit to Britain during Christmas Week 1992 – a London-based holiday with an old friend from high school - that I attended Evensong at Canterbury Cathedral on the actual feast of St. Thomas Becket, thus marking not only the date but the very hour of his martyrdom. Becket’s Anglican successor led the celebration, the highlight of which came at the end of the service when the Archbishop led the congregation down to the exact site of St. Thomas’s murder, where we listened to a contemporary medieval account of the infamous event. Quickly canonized within three years of his death, Becket rose to become one of the Church’s great heroes in the perennial conflict against the ambition of secular power. Famously, his shrine at Canterbury also became one of medieval Europe’s popular pilgrimage sites. Then in 1538 a new pharaoh, Henry VIII - much more ambitious to control the Church (and everything else) than Henry II probably could ever even have imagined being – destroyed the shrine. (A candle now burns on the bare floor marking the site of the former shrine, and a modern altar adorns the location of his martyrdom). On the specific issues which precipitated the conflict between Becket and Henry II, the modern state has long-since staked its claim and won. The underlying principle, however, that the Church represents a superior claim on people’s consciences than that of any human loyalty still stands as a perpetual challenge to the worldly ambitions of states, societies, and cultures - certainly no less so today than in ancient and medieval times. On Christmas Day 1170, Thomas, only recently returned from exile, celebrated Pontifical Mass in a packed Canterbury Cathedral. He based his sermon on Luke 2:14 - the song of the angels to the shepherds. But the peace he spoke of was definitely not a worldly one. During his sermon, he is said to have alerted his audience to the imminent possibility of his own martyrdom, invoking one of his famous Anglo-Saxon predecessors, Saint Alphege, who had been abducted by Viking raiders in 1011 and then martyred on April 19, 1012. He would again invoke Saint Alphege, commending both himself and the Church's cause, four days later just before the first sword struck his head, . In an "Interlude" in his famous play, Murder in the Cathedral, T.S. Elliot recreated Becket's Christmas sermon. Elliott's Becket devotes about half of his sermon to the meaning of martyrdom. "A martyrdom," Elliot's Becket says, "is always the design of God, for His love of men, to warn them and to lead them, to bring them back to His ways. It is never the design of man; for the true martyr is he who has become the instrument of God, who has lost his will in the will of God, and who no longer desires anything for himself, not even the glory of being a martyr. So thus as on earth the Church mourns and rejoices at once, in a fashion that the world cannot understand; so in Heaven the Saints are most high, having made themselves most low, and are seen, not as we see them, but in the light of the Godhead from which they draw their being." Subtly resonating with the words of the ancient Christmas Preface, Becket's sermon identifies martyrdom with an analogous self-emptying to what we celebrate in the Incarnation. 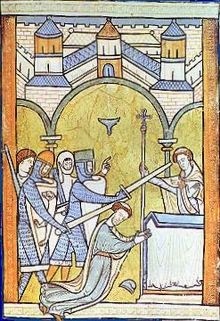 In Elliot's sermon, Becket goes on to invite his congregation to remember his sainted predecessor Saint Elphege - "because, dear children, I do not think I shall ever preach to you again; and because it is possible that in a short time you may have yet another martyr, and that one perhaps not the last." Practically everyone can comfortably sing along with The 12 Days of Christmas. It can get confusing towards the end, as there are different versions in which the pipers piping, drummers drumming, ladies dancing, and lords a-leaping arrive in different order. But, other than that, it's an easy carol to join in and actually invites popular participation. It also reminds us that the real Christmas continues for quite some time after December 25. For some that may mean taking vacation time as if one were still in school. For others it may mean a frenzy of bargain-hunting at post-Christmas sales that rival the pre-Christmas shopping binge. For still others, it may mean continued catching up with family and friends one didn't get to see on Christmas Day itself. There are, in short, many ways to acknowledge that Christmas continues. On this 2nd Day of Christmas, the Church holds up of to us the figure of Stephen, one of the "Deacons" of the Apostolic church, the first martyr, whose martyrdom is edifyingly recounted in Acts 6-8. This is the famous "feast of Stephen" on which the events recounted in the carol Good King Wenceslaus take place. Saint Stephen today, Saint John the Apostle and Evangelist tomorrow, and the Holy Innocents the next day form a unique post-Christmas triduum. In a typical example of a certain style of medieval symbolic interpretation which may strike us moderns as much too forced, Saint Bernard saw three different expressions of martyrdom on display this week - Stephen a martyr in both will and deed, John a martyr only in will, and the Holy Innocents martyrs only in deed. Not quite so forced is the connection drawn by Saint Fulgentius of Ruspe (468-533) between Christmas and Saint Stephen's Day: "Yesterday we celebrated the birth in time of our eternal King. Today we celebrate the triumphant suffering of his soldier. Yesterday our king, clothed in his robe of flesh, left his place in the virgin's womb and generously visited the world. Today his soldier leaves the tabernacle of his body and goes triumphantly to heaven." Important as it may be in its own terms for us to continue Christmas, celebrating it seriously through at least Epiphany, it is even more important to continue Christmas all year long and all life long - not with trees and lights and carols and presents, obviously, but with the confident conviction of the shepherds, who made known the message that had been told them and who returned, glorifying and praising God for all they had heard and seen. What would be a better New year's resolution? After the liturgical splendors of Christmas night and Christmas morning, comes the quiet of my annual Christmas afternoon alone. It was a very festive Christmas, with the Christmas Eve Masses especially well attended - even Midnight (once the stellar Christmas celebration, but which seems to have fallen on hard times in our contemporary convenience-store approach to Christmas scheduling). Then, after the morning Mass, my Paulist brothers and I actually enjoyed some quality time together at a festive Christmas brunch at the hotel right next to the church. Usually, I end up spending my Christmas afternoon alone with the TV for companionship. This year, however, the TV offered a special treat - A New York Christmas to Remember, produced by Paulist Productions and filmed earlier this month at the Paulist "Mother Church" in New York (and then shown nationwide on CBS on Christmas Eve). 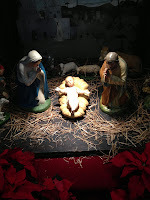 Thanks to contemporary technology, I was able to record it at home while celebrating Midnight Mass and so enjoy it at leisure on Christmas Day afternoon. Set in the splendid beauty of "Hecker's Basilica," the Paulist "Mother Church" of Saint Paul the Apostle in New York City, where I served for 10 eventful and happy years as assistant pastor, the show was really a sight to behold. The beauty of the church speaks for itself at any time, but especially when filled with worshippers and when gloriously decorated for Christmas. St. Paul's has always been a kind of institutional incarnation of Hecker's vision and the Paulsit mission - and perhaps seldom more so than at Christmas when so many seem to take advantage of its grandeur to connect (perhaps for the first time) or maybe to reconnect withe the gospel story. Narrated by Regis Philbin, who was baptized there decades ago, the event was punctuated by eloquent personal reflections by various parishioners and by glorious music by New York’s Fordham University Choir, the National Children's Chorus, and the Saint Paul the Apostle Parish Choir. 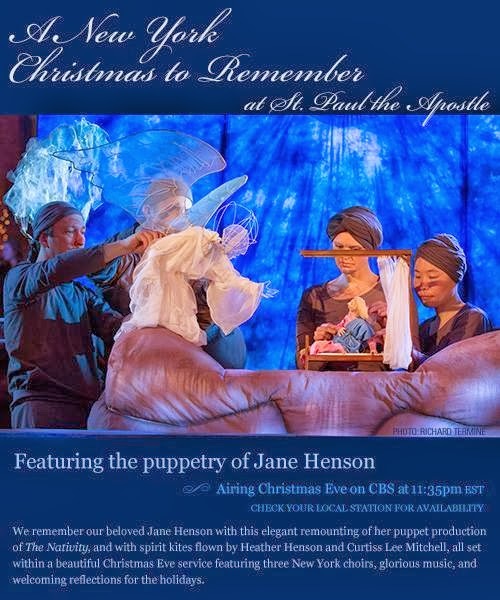 It revolved around the telling of the Christmas story as recounted in Luke 1-2, and Matthew 2 - beautifully brought to life by puppet performers inspired by the late Jane Henson. The artistry of the puppet presentation was evocatively impressive. Visually moving, the performance demonstrated once again how powerful the Christmas story still is, its incredible ability to reach people and to move them. The puppet characterizations of Mary and Elizabeth were especially powerful, with the emphases on the dynamic relationship between the two women, thanks to their miraculous pregnancies. In a society which sadly so radically devalues childbirth, it was a poignant reminder that the divine-human encounter which is the Christmas story is very much a story of pregnancy and childbirth. A sincere thank you to Paulist Productions and to its director, Paulist President-Elect, Father Eric Andrews, for putting together something so special and so suitable for contemporary evangelization. And thank you too, of course, to "Hecker's Basilica" and its pastor, parishioners, and staff, for providing the vibrant pastoral setting within which such a spectacular event could glorify God. Before being assigned here, as many of you know, I was for 10 years an Associate Pastor at the Paulist “Mother Church,” Saint Paul the Apostle Parish in New York City. For a number of those years, I helped facilitate a monthly program called “Great Religious Fiction,” in which each month we’d read a different book and discuss it. I do read a lot; but, other than medieval mysteries, my fiction-reading is rather limited. So I really came to appreciate being able to read so many wonderful stories – and all as part of my job! Anyway, one December, our book was, Mr. Ives’ Christmas, by Oscar Hijuelos, who died just this past October. Hijuelos had won a Pulitzer in 1990 for The Mambo Kings Play Songs of Love. So his death was widely noted. And that reminded me of Mr. Ives’ Christmas. When it was published in 1995, one reviewer compared Hijuelos to Dickens and called the book his “’Christmas Carol’ for a crime-ridden, ethnically divided urban America.” It tells the story of a commercial artist at a New York advertising agency and his wife and family living in Manhattan’s Morningside Heights - from New York’s nostalgically golden decades to the 1990s. Edward Ives had been significantly shaped by the experience of being abandoned as a baby, then raised in a Catholic Foundling Home, and finally adopted just before Christmas in 1924. This experience had left him with an intense desire for a family of his own, a theme that permeates the entire book. The central event in the story is the death of Mr. Ives’s 17-year old son Robert, a seminarian-to-be, pointlessly shot on the street as he was coming home from choir practice at Ascension Church a few days before Christmas 1967. The loss of his son sends Mr. Ives into decades of mourning and grief, from which he eventually emerges by the grace of forgiveness, receiving redemption himself through forgiving his son’s murderer. As Christmas stories go, it has it all – family and faith, testing by tragedy, and redemption by grace. And don’t we all do that too – as each Christmas comes as a kind of gift to us? I think we all want our Christmases to be perfect. That perfect Christmas-card family picture is a way of saying to the world (and maybe reassuring ourselves) that everything is really OK. In fact, however, and not just in novels, Christmas is often celebrated in less than optimal conditions – by those (like Mary and Joseph) who are homeless and have only strangers for company, by the lonely and those who mourn, by the sick in hospitals, by immigrants far from home, by refugees in temporary camps that have a way of becoming permanent, by soldiers at war (like my own father, 69 years ago, fighting with the 186th Field Artillery Battalion at the Battle of the Bulge, what one historian called “the worst Christmas for American soldiers since Valley Forge”). We’ve all heard the saying – perhaps even quoted it ourselves – “90% of life is just showing up.” That’s what God did on Christmas. He showed up “in the tempestuous strife and hate of our stormy days.” He showed up in a somewhat out-of-the-way place, under the less than optimal conditions so often experienced by poor immigrants and refugees then as now - and with just some shepherds (hardly a high-end audience) taking notice. But God didn't just show up; he stayed with us! He stayed with us for the long haul. He stays here in his Church! And that's what makes it possible for us, his Church, to show up ourselves, despite whatever obstacles we've put in God's way, and so to continue what he started back then, to continue what he started here and now in our world tonight, this Christmas, this year, and every year – uniting heaven and earth, spanning space and time, past, present, and future in one communion of saints, one universal network of friendship with Christ. And just how do we do that? In his recent Apostolic Exhortation, Evangelii Gaudium (“The Joy of the Gospel”) Pope Francis has outlined what it means to be a Church that shows up in the world, continuing what began this day in Bethlehem. He challenges us all “to go out of ourselves and to join others … to overcome suspicion, habitual mistrust, fear of losing our privacy, all the defensive attitudes which today’s world imposes on us” [EG, 87-88]. We celebrate tonight what we profess every Sunday: that the Only begotten Son of God for us and for our salvation came down from heaven, and by the Holy Spirit was incarnate of the Virgin Mary and became man. This is the Christmas story. Tonight, the ritual requires us to kneel when we say those words, to solemnize what we celebrate, but we say those words all year round. The Christmas story is our story – all year round. It’s the story of God showing up and inviting us into a new relationship with him and with our world – “a personal relationship,” as Pope Francis says, “not with vague spiritual energies or powers, but with God, with Christ, with Mary, with the saints” [EG, 90]. When at the end of the story Mr. Ives visited and reconciled with his son’s killer, in that moment, the reader is told, “Ives knew, his son was somewhere in that room, and approving of what he beheld.” The God who became incarnate in Jesus is inviting us this Christmas to become incarnate in our world – to overcome whatever barriers remain between us, between young and old, rich and poor, healthy and sick, native and immigrant, friend and foe. As Pope Francis has said, “the love of God, once welcomed becomes the most formidable means of transforming our lives and relationships with others, opening us to solidarity and to genuine sharing” [2014 World Day of Peace Message]. For, as St. Paul wrote in his letter to Titus: The grace of God has appeared, saving all and training us to reject godless ways and worldly desires and to live temperately, justly, and devoutly in this age, as we await the blessed hope, the appearance of the glory of our great God and savior Jesus Christ. So every time we come up this hill to this bright and beautiful church to hear this Christmas story, may it truly become our story. May it challenge us to bring the brightness and beauty we experience in this church with us back down the hill and so to re-imagine our world – and so transform our frustration into fulfillment, our sadness into joy, our hatred into love, our loneliness into community, our rivals and competitors into brothers and sisters, and our inevitable death into eternal life. 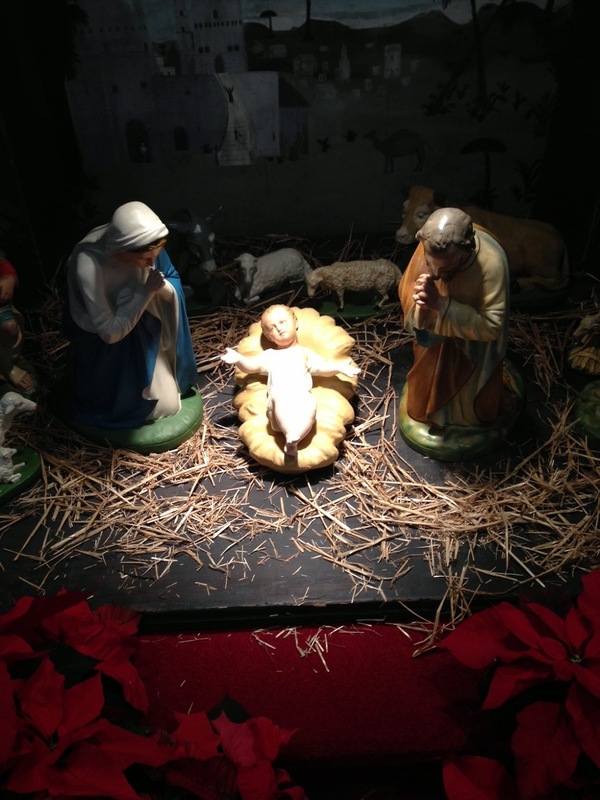 Homily for Christmas Midnight Mass, Immaculate Conception Church, Knoxville, TN, December 25, 2013. The traditional liturgical Vigil of Christmas also did that rather well. Like all the other vigils that used to mark the Catholic calendar, the Vigil of Christmas no longer exists liturgically. Even so its spirit still survives somewhat outside the official liturgy in the spiritual feeling of this day (and, of course, in some randomly surviving cultural remnants, e.g. the traditional Christmas Eve fish dinner). While originally intended for Christmas Eve morning, the Martyrology's "Christmas Proclamation" (as it is now commonly called) is very appropriate to its new setting. Sung before Midnight Mass, it still belongs, at least technically, to Christmas Eve and really does capture completely what Christmas Eve as a classic "fore-feast" was all about. It situates the Incarnation where it belongs - in the grand sweep of human history and the providential plan of what we call "salvation history." I read somewhere that on this date in 1869, there was anxiety in the Roman Basilicas that the singing of today's Magnificat antiphon (O Emmanuel) at Vespers might trigger popular demonstrations in support of the Piedmontese King Victor Emmanuel II, the poster-boy for the unification of Italy. Well, whatever did or didn't happen in the Roman Basilicas on that December 23, 1869, nine months later on September 20, 1870, Victor Emmanuel's army finally entered Rome - conquering it or liberating it, according to one's perspective, and providing a united Kingdom of Italy with its long-desired capital. The long-desired Emmanuel of today's antiphon, whose advent we celebrate at Christmas, reigns over a greater and more permanent kingdom. His coming constitutes the greatest possible joy for the world. But as the anxiety that gripped Rome that Christmas reminds us, our joyous celebration of the coming of Christ cannot completely escape the concerns and anxieties that afflict our political world and our personal lives. To my mind that is one reason for the enduring popularity of that Judy Garland Christmas classic, Have Yourself a Merry Little Christmas. In the 1944 musical Meet Me in St. Louis, Judy Garland sings Have Yourself a Merry Little Christmas to her sad little sister. The girl's sadness has to do with the family's plans to relocate to another city. But the date - 1944 - recalls another, greater sadness, the separation and dislocation caused by World War II. It is said that Judy Garland's performance of the song at the Hollywood Canteen brought soldiers to tears. That's easy enough to believe, since the song still has that effect on me whenever I hear it now. 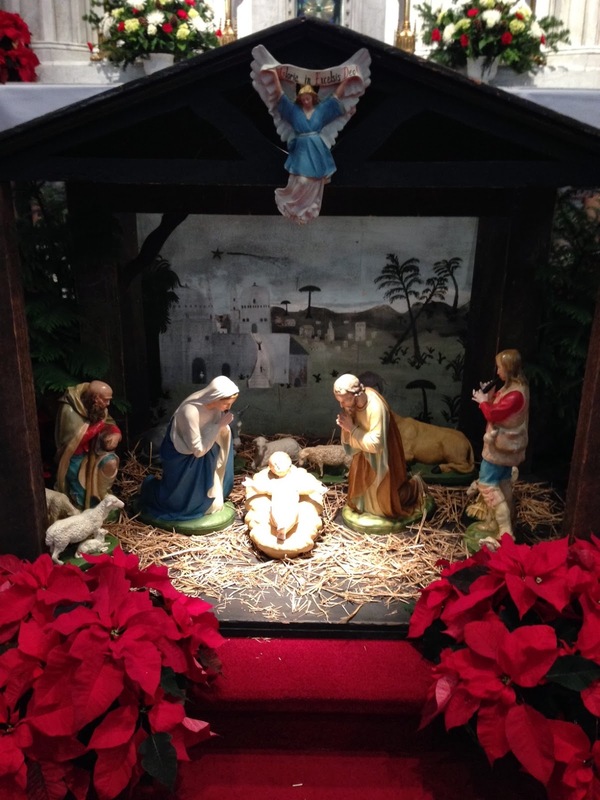 Christmas is a transcendently happy occasion, but we celebrate it in a world of woe. While we all want our Christmases to be perfect, reality regularly intrudes. That perfect Christmas-card family picture is a way of saying to the world (and maybe reassuring ourselves) that everything is really OK. In fact, however, and not just in movies, Christmas is often celebrated in less than optimal conditions – by those (like Mary and Joseph) who are homeless and have only strangers for company, by the lonely and those who mourn, by the sick in hospitals, by immigrants far from home, by refugees in temporary camps that have a way of becoming permanent, by soldiers at war (like my own father, 69 years ago, fighting with the 186th Field Artillery Battalion at the Battle of the Bulge, in what one historian called “the worst Christmas for American soldiers since Valley Forge”). Christmas does not deny those realities. Rather, it heralds the hope that gets us through those realities and takes us beyond them. That hope, that is the key to Christmas, keeps Christmas coming year after year, in good times and in bad. 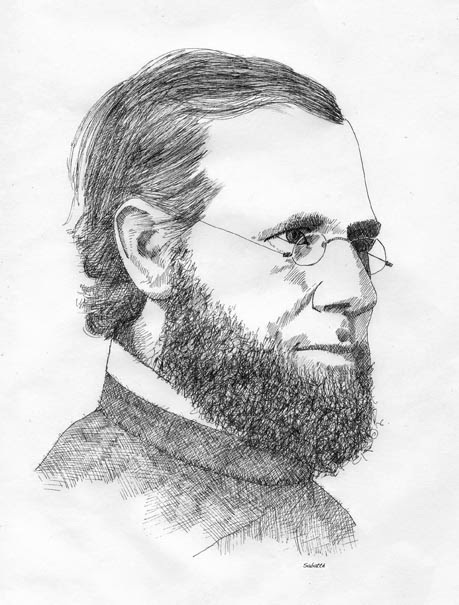 Today is the 125th anniversary of the death of Servant of God isaac Hecker (1819-1888), the founder of the Paulist Fathers. Although Hecker remained Paulist General Superior and parish pastor from 1858 through his death in 1888, the last period of Hecker’s life was dominated by physical illness and suffering. So, from 1872 on, Augustine Hewit increasingly bore the burden of shepherding the fledgling Paulist Community, while one of the other Paulists served as acting pastor of the New York parish. Thus, not unlike the experience of some other religious founders - St. Francis of Assisi (1181-1226) in the 13th century, St. Alphonsus Liguori (1696-1787), the founder of the Redemptorists, in the 18th, and Blessed Jeanne Jugan (1792-1879), the foundress of the Little Sisters of the Poor, in Hecker’s own 19th century, Hecker’s last years saw a reduction in ministerial activity that challenged him to surrender himself totally to the Lord. Sickness and suffering are complex human experiences, which elicit different reactions and responses in different people. In Hecker’s case, unwanted sickness and suffering served to help his final spiritual maturation in response to God’s grace, deepening his relationship with the Lord and broadening his evangelizing zeal even as his apostolic activity was curtailed. Even so, during this time he continued to contribute to The Catholic World, for example, and even attended (briefly) the Third Plenary Council of Baltimore in 1884. Throughout the 1880s, Hecker engaged in written polemics on issues of great contemporary importance to the Catholic community. In conspicuous contrast to the secular press, he strongly supported the Papacy in its ongoing dispute with the Kingdom of Italy (“the Roman Question”), and he pressed forcefully for Catholics’ right to run their own separate school system. The Church and the Age (1887) was Hecker’s final and mature formulation of his core convictions about the Church and the contemporary world in general and in particular the vexing question of Church and State - specifically in the United States, Italy, and France (the latter two being the countries where Church-State relations were persistently neuralgic in Hecker’s lifetime and also where such issues had the most immediate impact on the concerns of the government of the Universal Church). The Church and the Age also offers Hecker’s mature insights on his life-long preoccupation with the relationship between the interior action of the Holy Spirit within the individual and the external authority of the Church. In the early Church (and for some time thereafter), one of the major moments in the development of devotion to a holy figure was the official transfer of his or her relics to a more noteworthy location. In a kind of modern echo of that ancient and medieval practice of elevatio et translato, the community of the faithful centered around Hecker’s church in New York gathered on January 24, 1959, to transfer Hecker’s remains to a magnificent new tomb, the work of American artist and sculptor Lumen Martin Winter. The transfer was conducted with great solemnity, led by the Superior General of the Paulist Fathers and accompanied by a Knights of Columbus Honor Guard from Manhattan, the Bronx, Queens, and Staten Island. His body was removed from the Paulist Fathers’ Crypt, placed in a new coffin, then solemnly carried up the steps and into the church, where a Pontifical Requiem Mass was sung by Bishop Edward V. Dargin, Auxiliary Bishop and Vicar General of the Archdiocese of New York. At the end of that Mass, a sermon was preached by Bishop Philip J. Furlong, Auxiliary Bishop of New York and Delegate to the Military Ordinariate. "To go forth from our comfort zone"